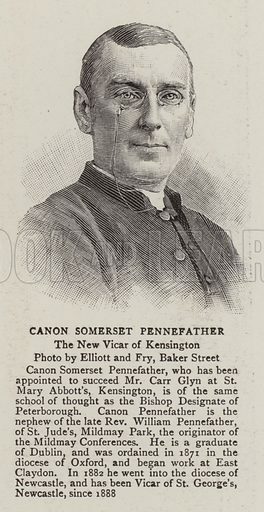 Canon Somerset Pennefather, the New Vicar of Kensington. Illustration for The Graphic, 28 November 1896. Available worldwide for immediate download up to 2,874 x 5,567 pixels.